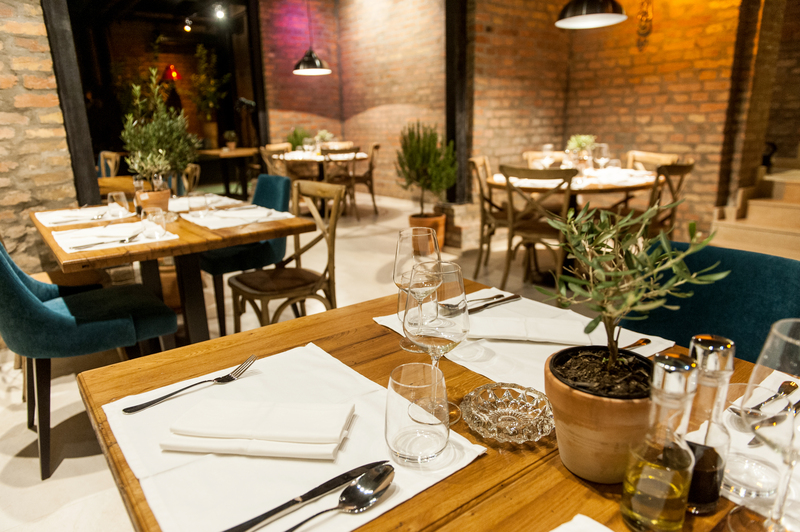 After 15 years of successful work on the Montenegrin coast the owner of restaurant Balun from Razevici, decided to open a Mediterranean restaurant Papalada, in the heart of Belgrade. New to Belgrade’s restaurant scene, this amazing seafood restaurant offers the opportunity to enjoy the most beautiful scents and tastes of a wide range of meals from Mediterranean cuisine. Restaurant Papalada has a specific interior, decorated in a rustic style where wood and bricks predominate, with numerous modern details that give the space special warmth. There is a special VIP area, which has a capacity for 14 people and is suitable for smaller celebrations. Guests can enjoy a beautiful garden, full of greenery, which is located at the inner side of the building and is the ideal place to escape from the noise and crowds. The superb choice of dishes from the Mediterranean that the skilled chefs prepare for you will take you into another world. A special recommendation of the always fresh sea fish and seafood (squid,prawns) from the Adriatic, black risotto, pasta Frutti di mare, Scampi Pasta con salmon, pasta alla puttanesca, as well as delicious salads. In addition to the finest fish dishes, on the menu there is a wide range of national Montenegrin dishes, such as various types of cheese and prosciutto. For the real gourmets, there is also a great variety of specialties of meat (beef, chicken). The delicious and fragment dishes accompanied by adequate selection of alcoholic drinks, coffee and juices allow guests to completely enjoy themselves. The wine list offers, the most beautiful red, white and sparkling wines from the region, as well as phenomenal alcoholic and non-alcoholic cocktails based on fresh fruits. The friendly and professional staff are always there to recommend a wine to best compliment your meal. In an unusual interior, with a combination of both traditional and modern, Papalada seafood restaurant offers you to organise all kinds of celebrations. The restaurant seats 60 inside with the garden offering seating for 24. On weekends you can enjoy some light live music. For those who would like to enjoy their favorite dish in the comfort of their own home, Papalada also offers a fast home delivery service straight to your front door.